With Easter just around the corner there’s every chance that you are looking forward to baskets laden with chocolate eggs and gatherings with your family. In fact we think you should knit them even if you are endulging in chocolate, we like them that much! 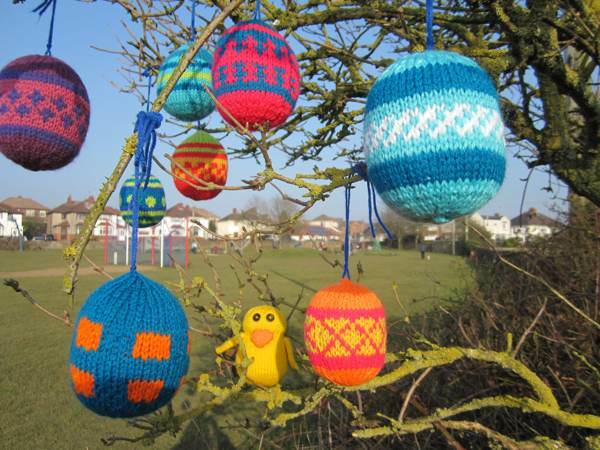 The eggs were knitted using DK yarn and size 4mm(8) needles. They could be made larger by using a bigger yarn and needles. 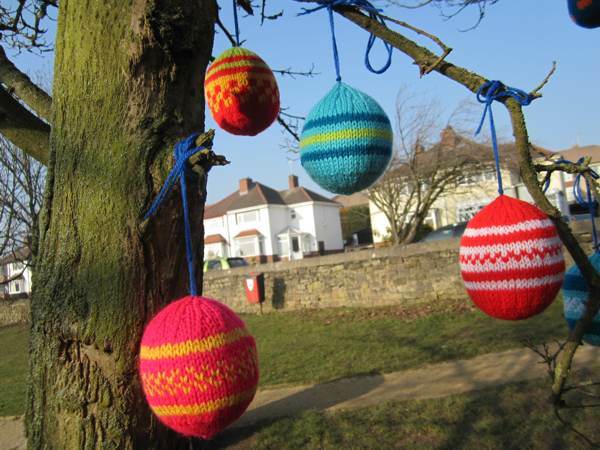 The eggs are knitted in stocking stitch, one row plain and the next purl. Rows 10 – 25 continue in stocking stitch and pattern as desired. The pattern could be different coloured stripes or spots or zig zags. Cut the yarn and thread through the last 7 stitches and pull up. 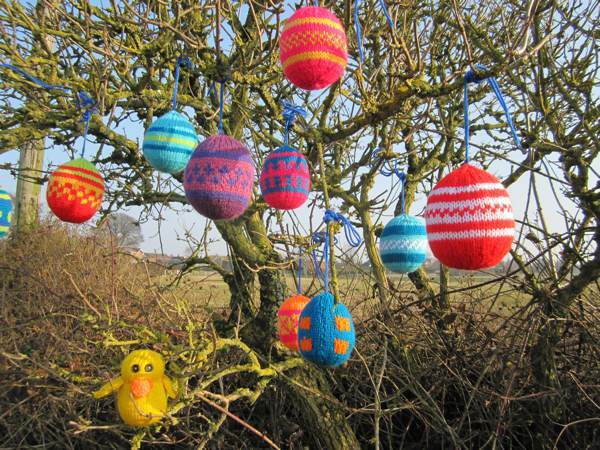 Sew down the side of the egg and then stuff with toy stuffing. Finish off by running some yarn round the cast on edge and complete sewing up. 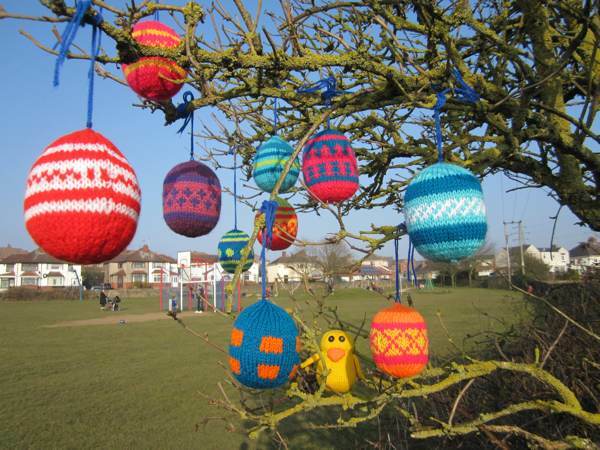 This entry was posted in Tutorials and tagged craft, easter, easter egg, egg, eggs, graffiti, how to, knit, knit bomb, knitting, pattern, sew, tutorial, yarn bomb, yarn bombing. Bookmark the permalink.